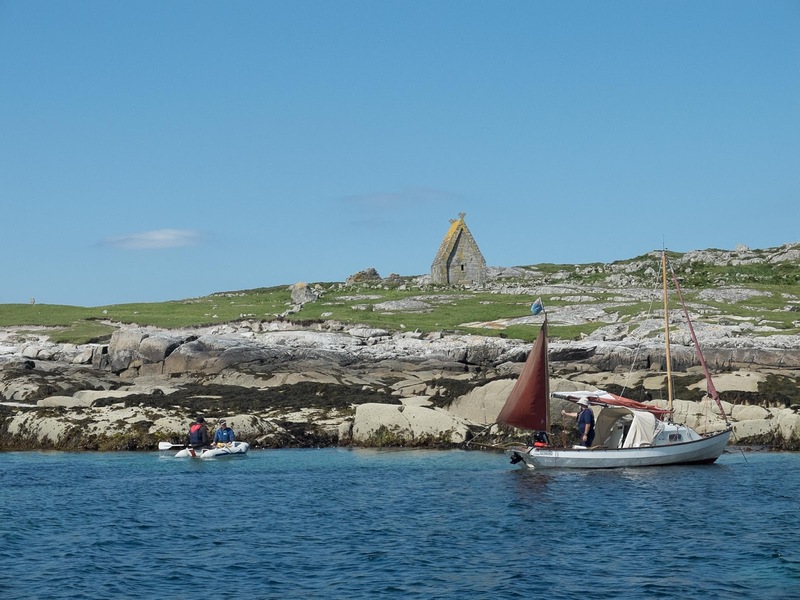 We launched at Inishnee, opposite Roundstone, which is about an hours drive from Galway. 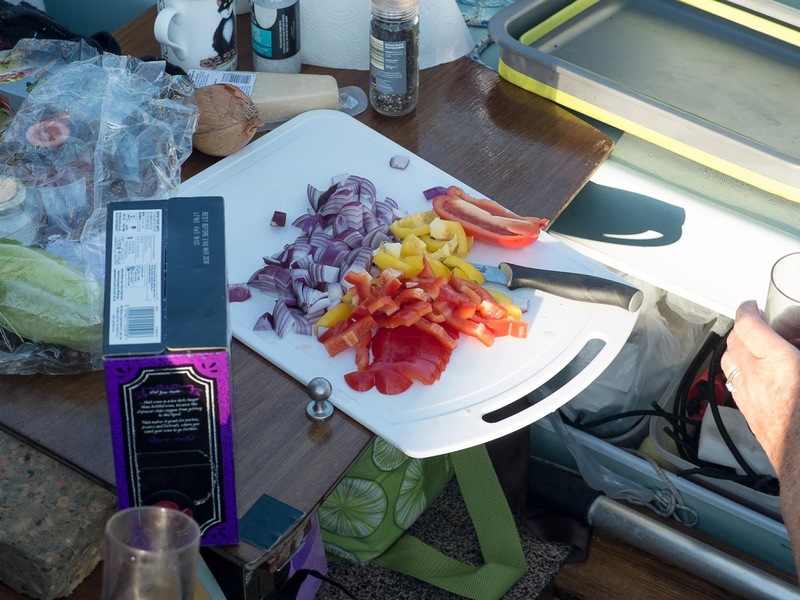 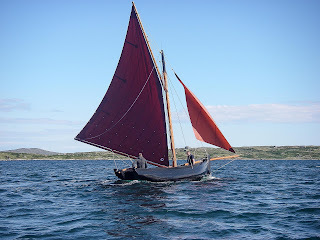 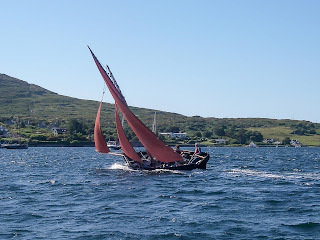 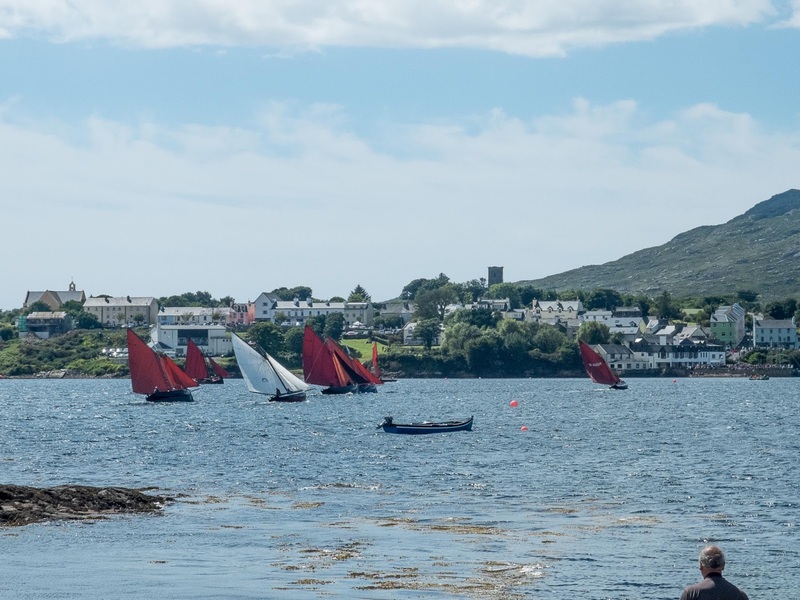 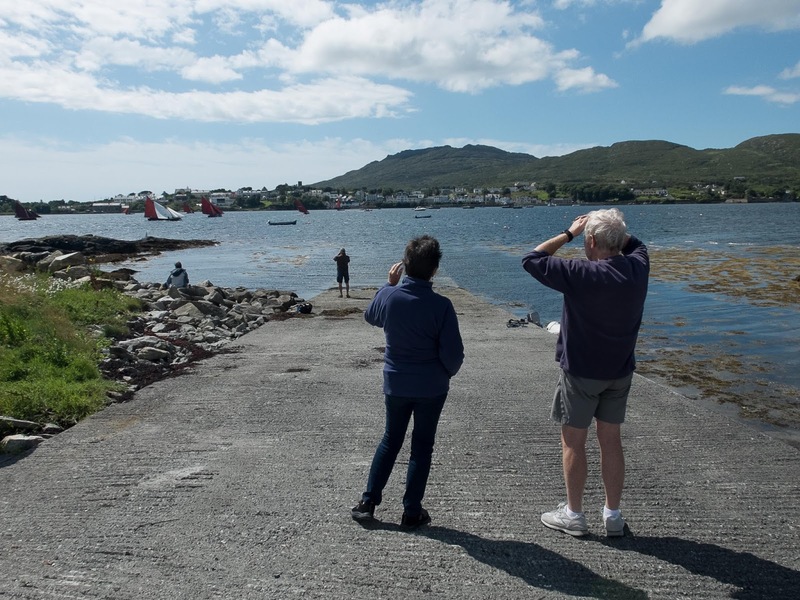 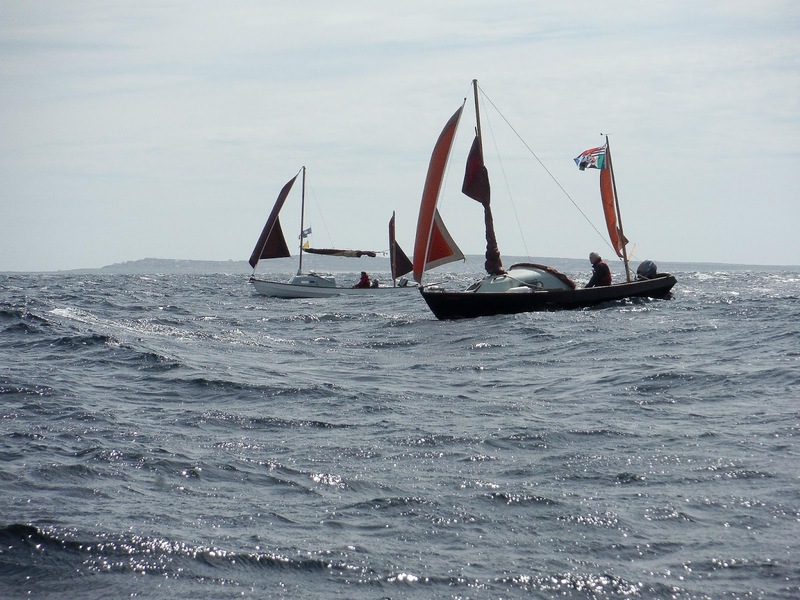 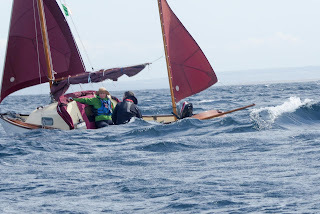 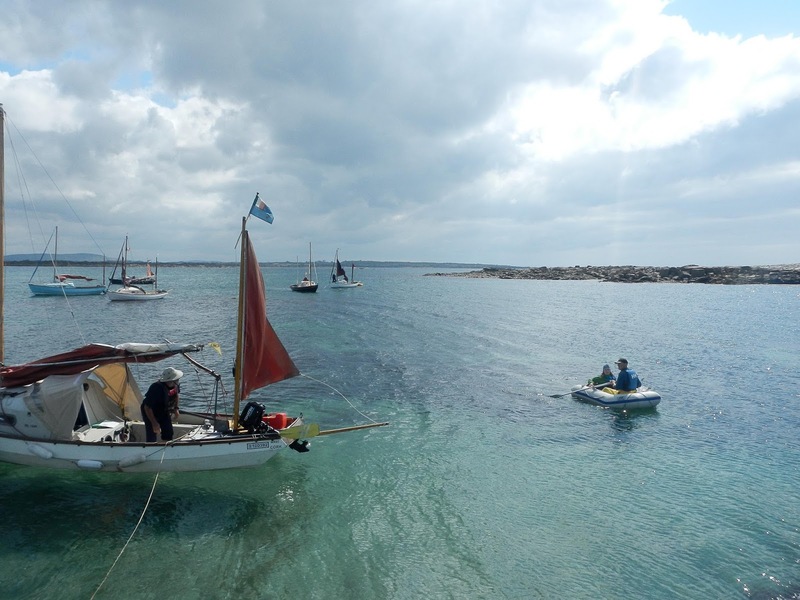 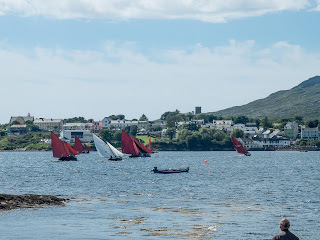 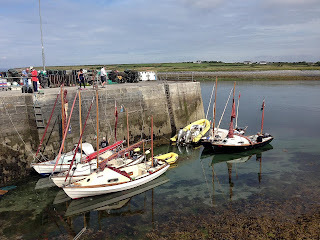 There was a regatta for the local fleet of Galway Hookers here and is where we met up with some local Drascombes before heading out to the Aran Islands. 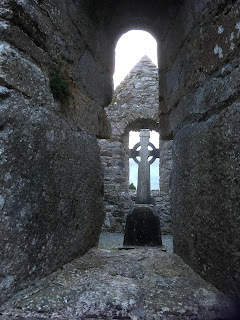 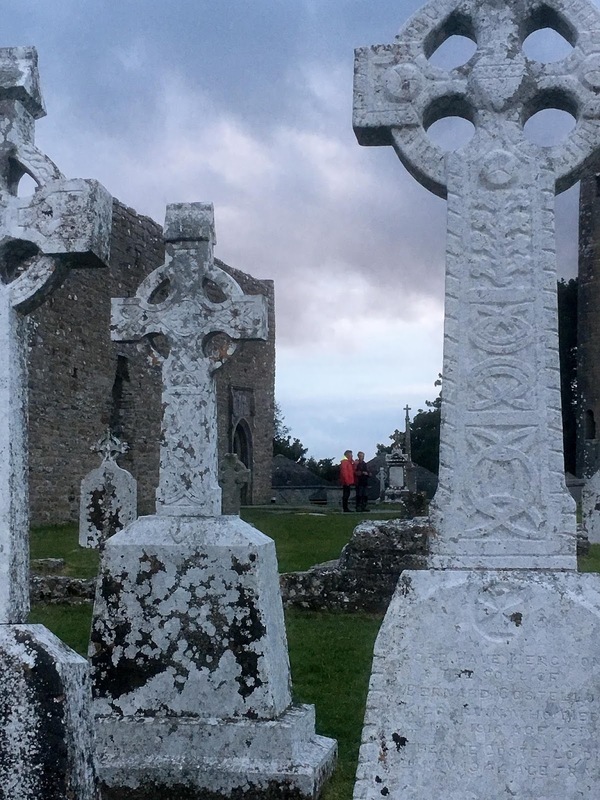 On the way to the Aran's we stopped at St. Macdara's Island to look at an ancient chapel. 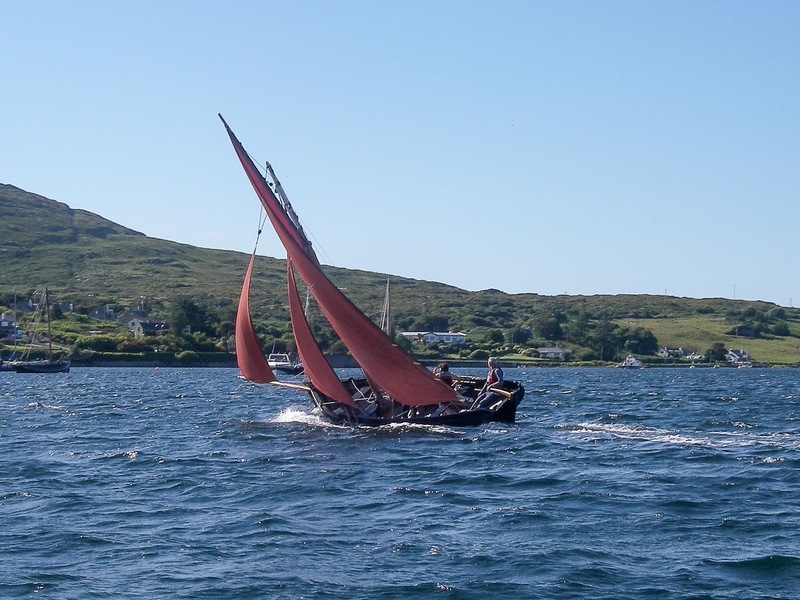 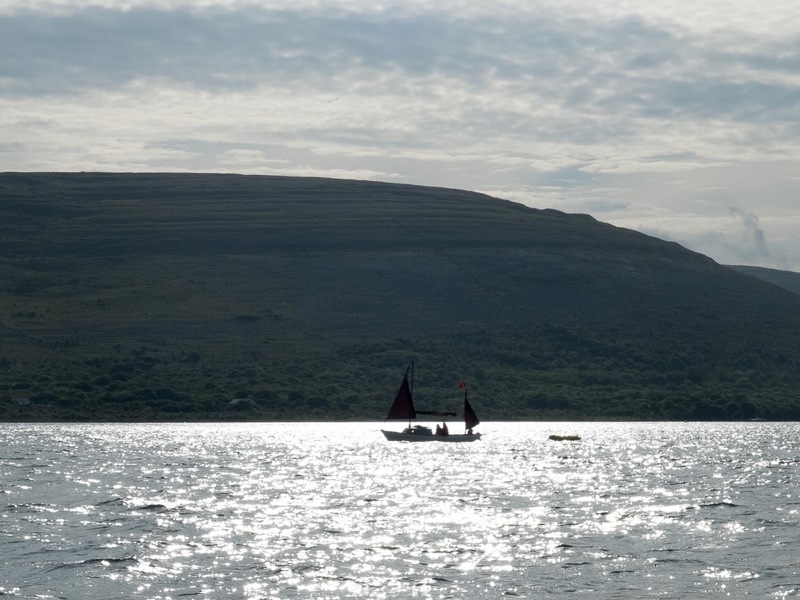 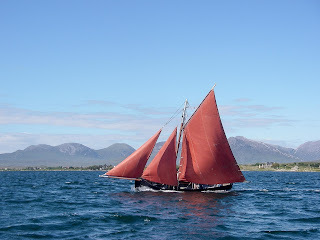 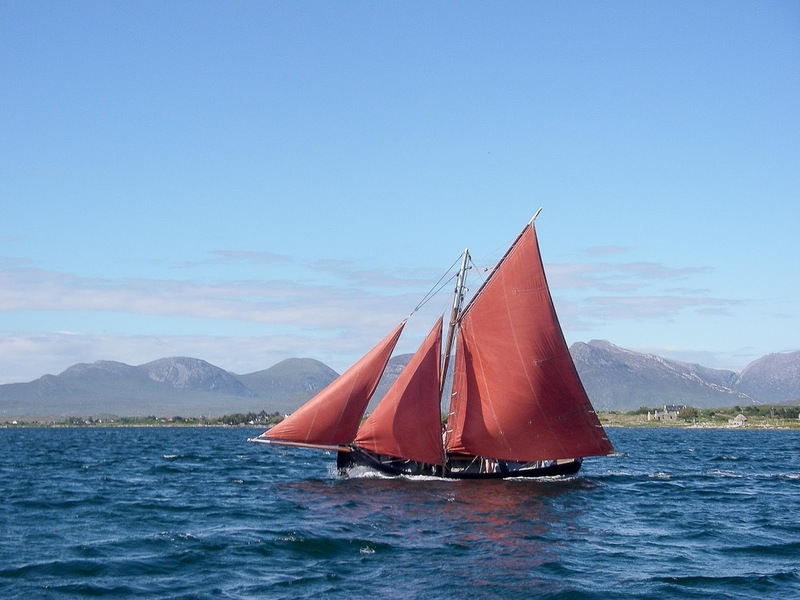 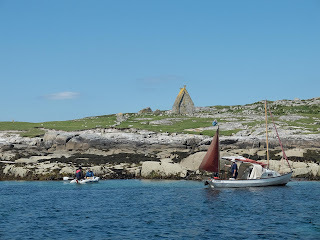 St. Macdara is the patron saint for the Galway Hookers and the boats dip their sails as they pass the island. 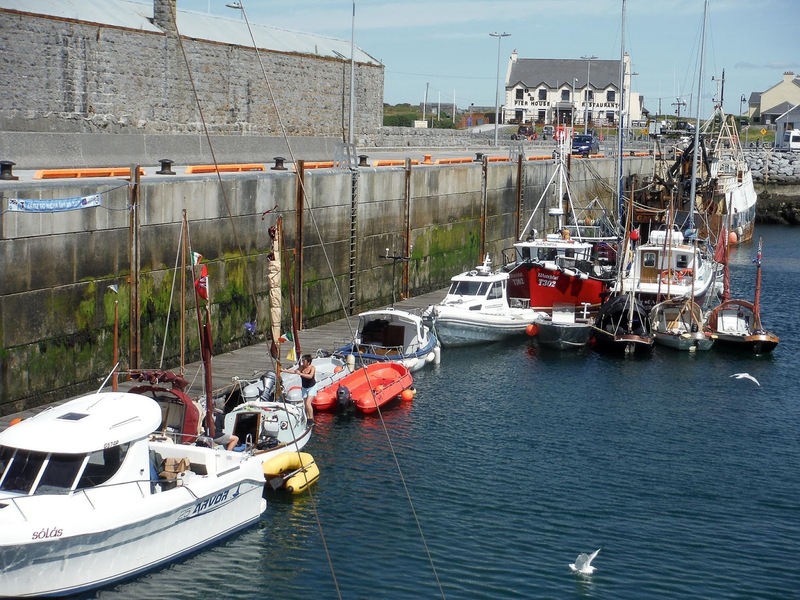 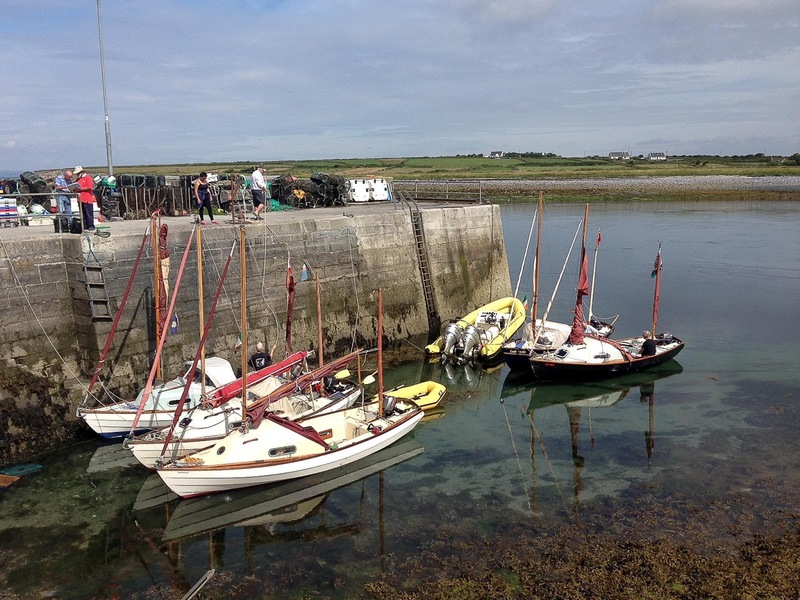 The pontoons in Kilronan harbour on Inishmore had been installed for an offshore yacht race and made for easy mooring. 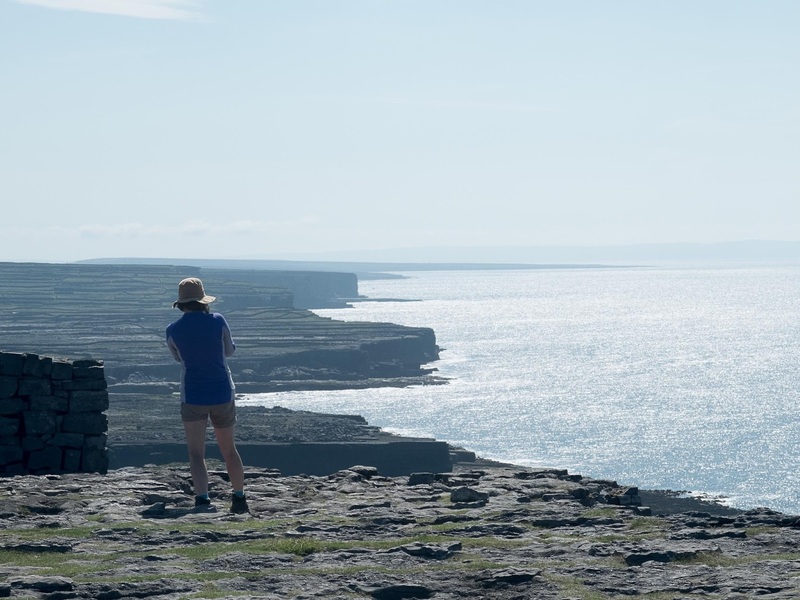 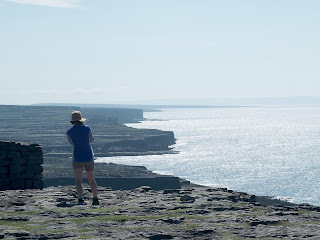 While on the island we visited Dún Aonghasa, which is a Bronze Age fort built on the cliff edge. 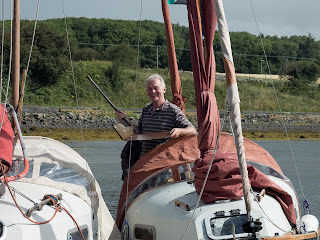 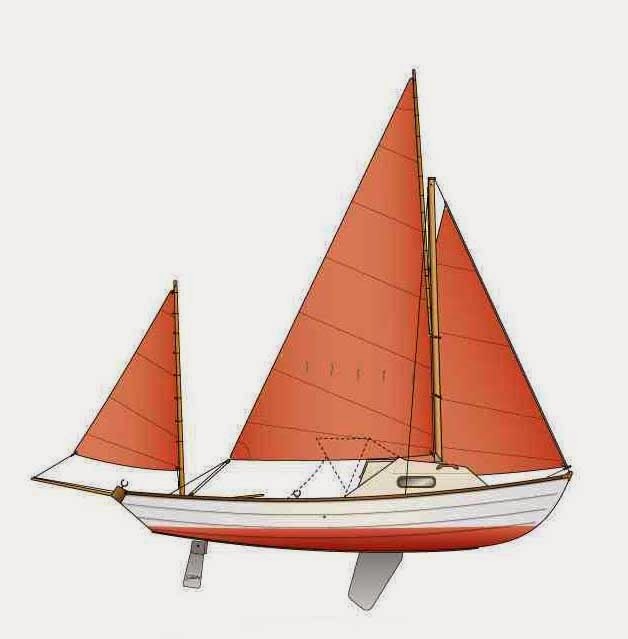 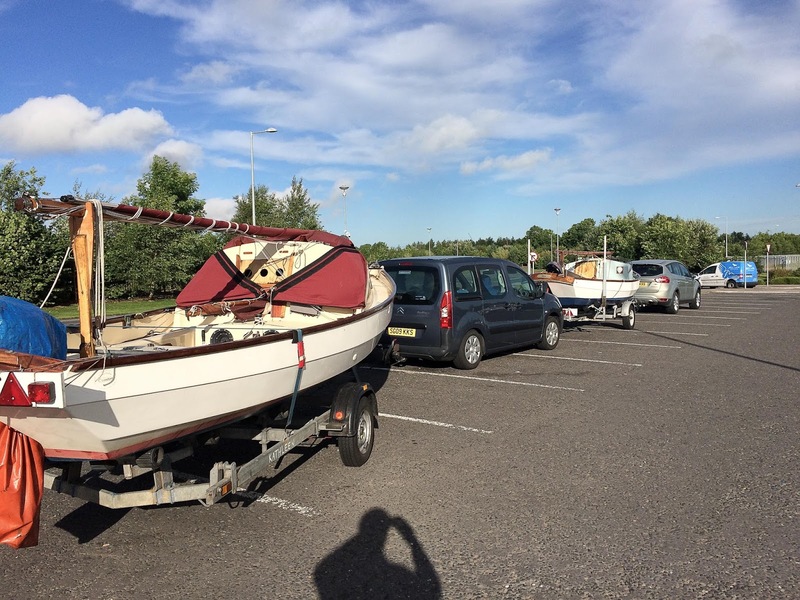 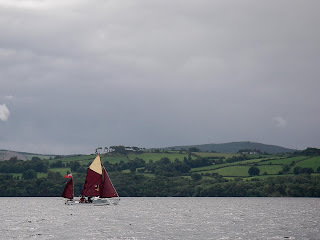 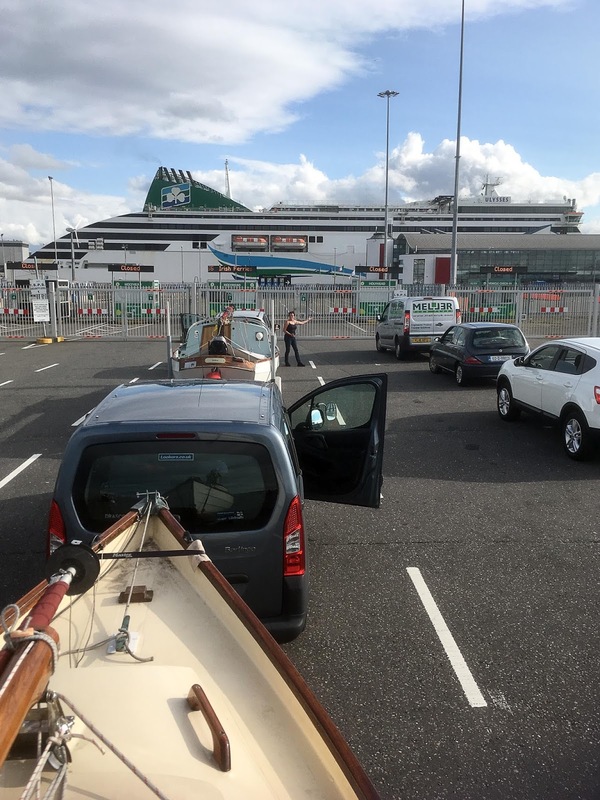 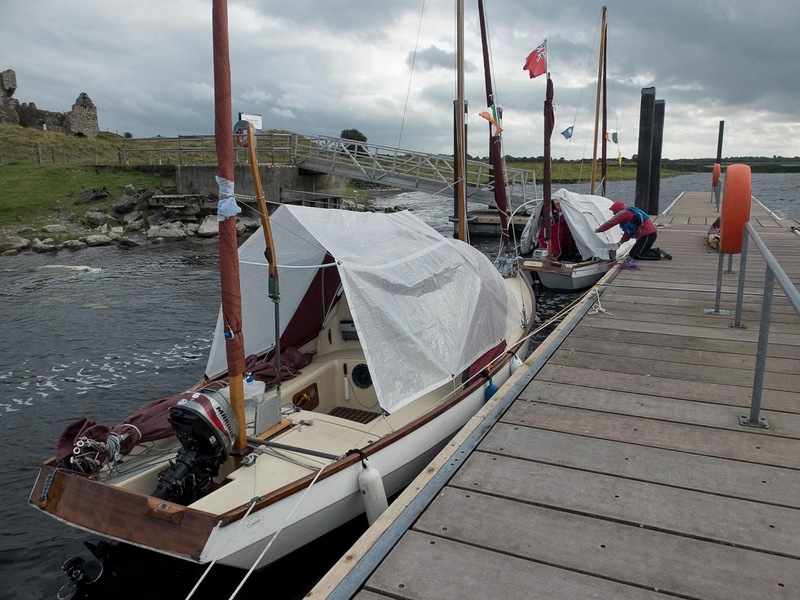 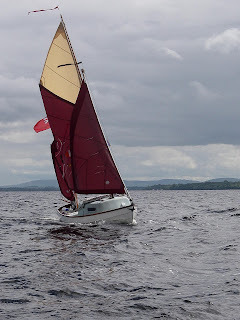 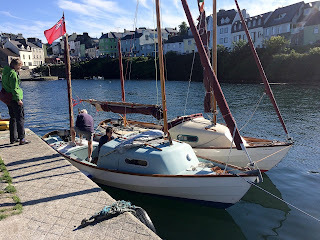 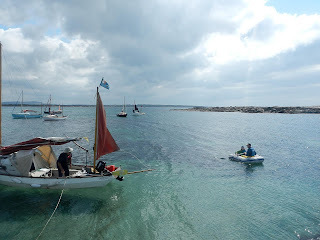 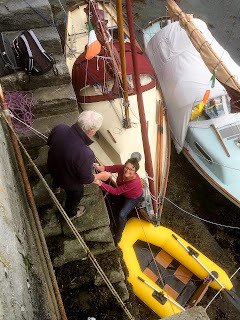 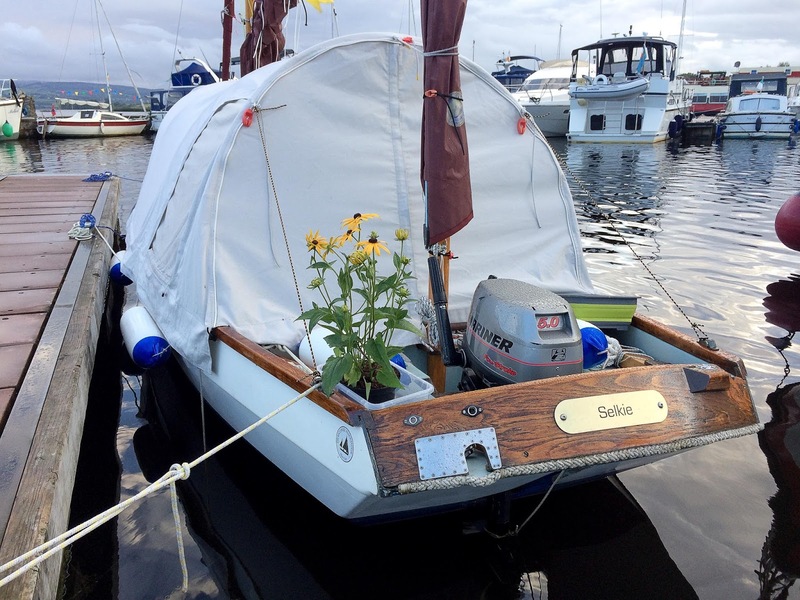 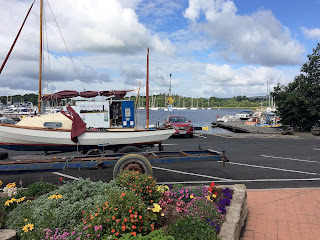 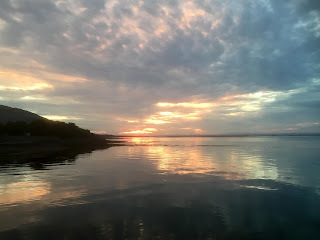 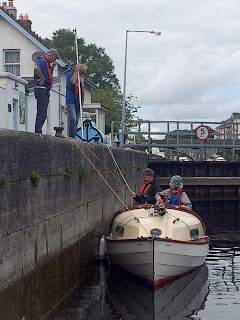 We returned to the mainland and stayed at Galway Bay Sailing Club, tied against wall we had to manage at tidal range of over 4 metres, which meant the boats dried out at low tide. 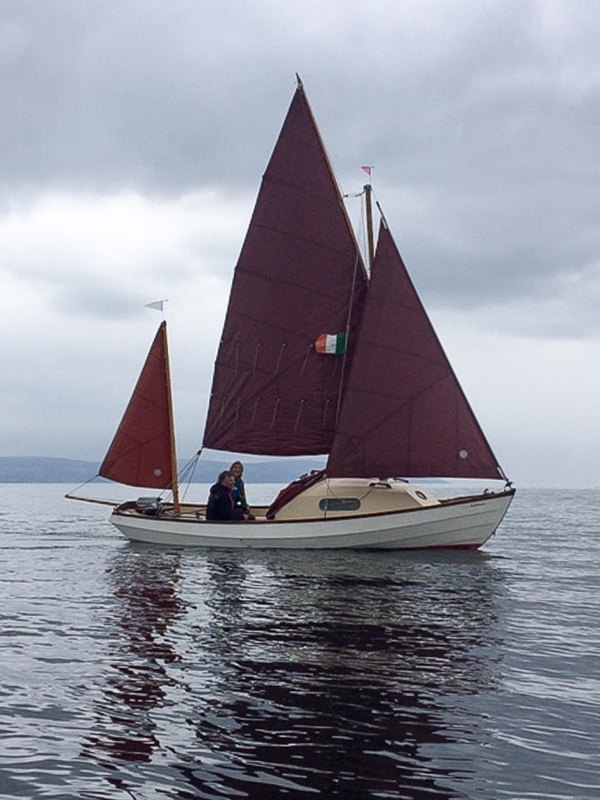 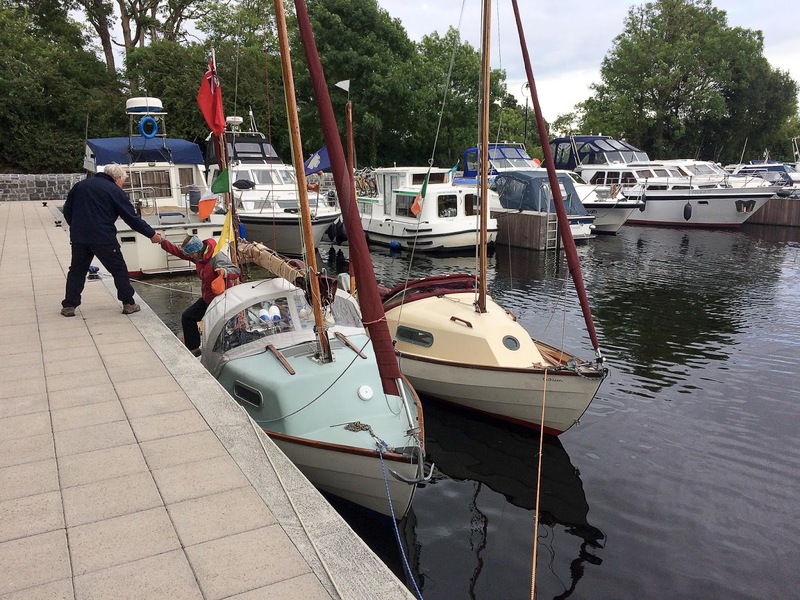 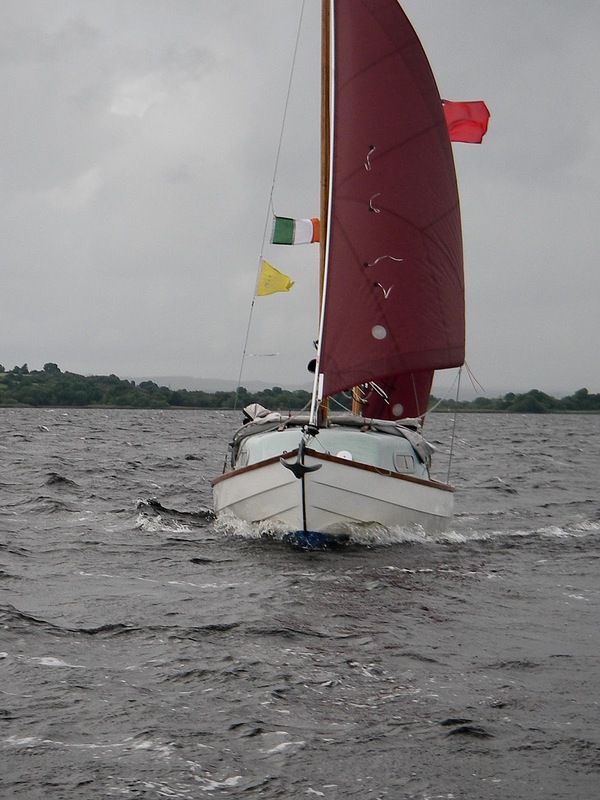 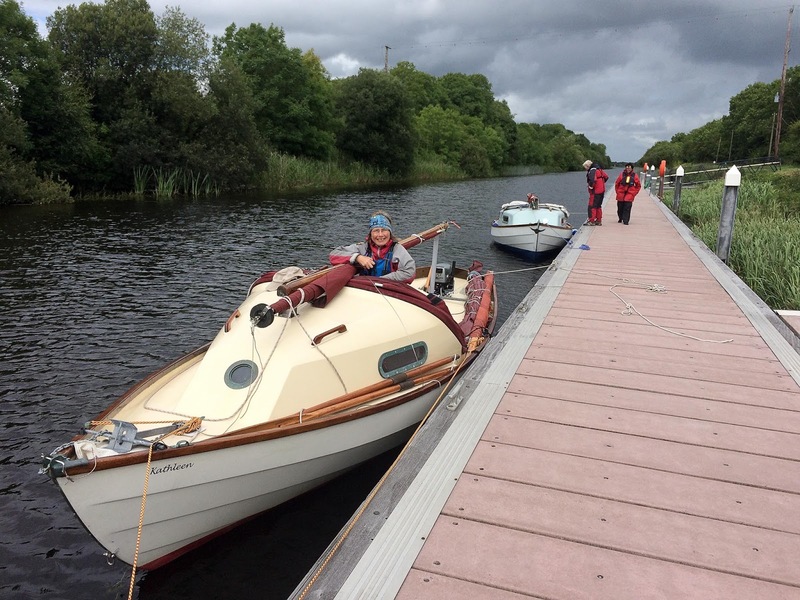 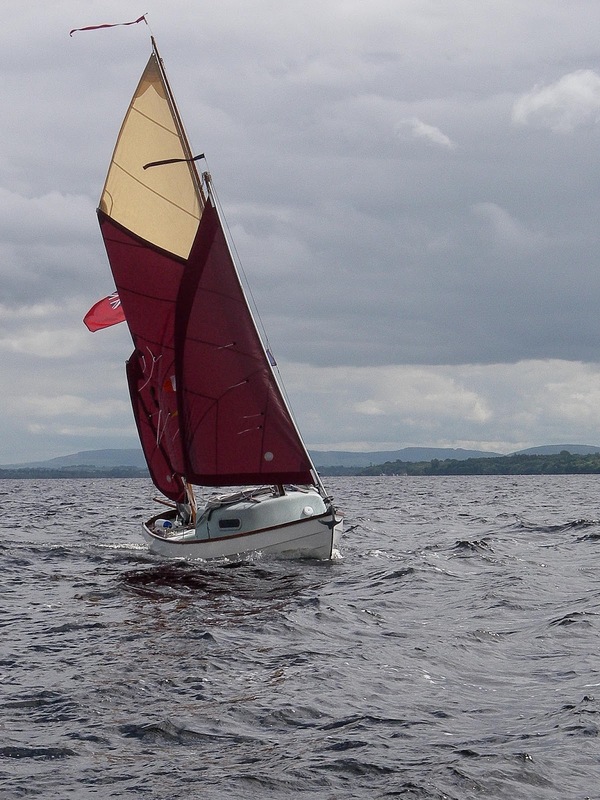 With the weather forecast looking unsettled, we launched the boats on Loch Ree and headed down the River Shannon to Loch Derg. 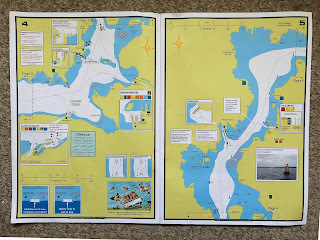 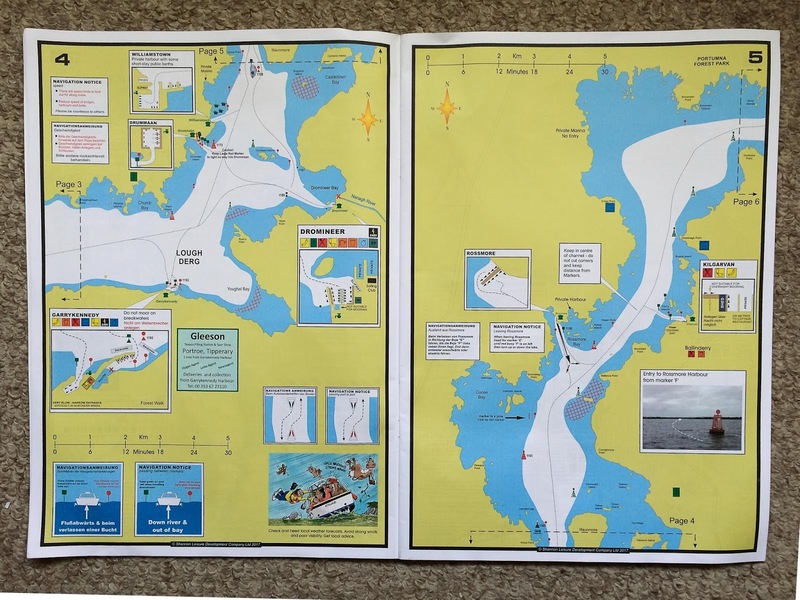 It is possible to buy a Navigational Guide for 12 Euros, which proved invaluable. Along the way we met several other Drascombe sailors, including the lock keeper at Athlone, who kept a Lugger on Loch Ree. One evening we stayed next to the monastery at Clonmacnoise, which was founded in 544 and finally destroyed by British soldiers in 1552. 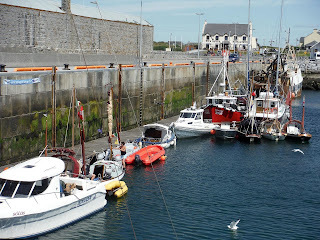 All the harbours we visited we in excellent condition, as well as being free, most also had a slipway. 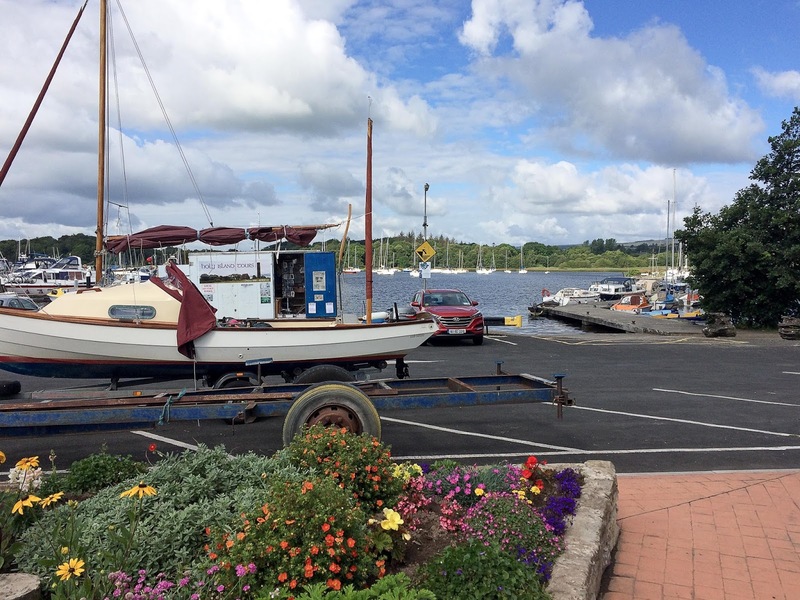 We finally took the boats out at Mountshannon.